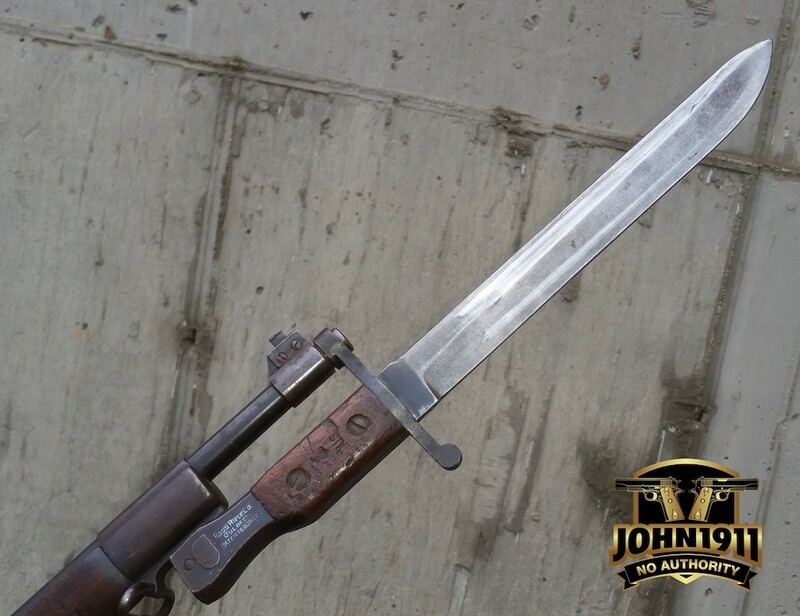 Marky came across a smoking deal on a Ross Rifle Bayonet. 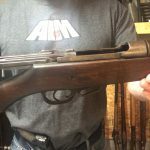 We needed one for the Ross Rifle in the armory. And when we received it, there were a lot a good things about it, and one bad. 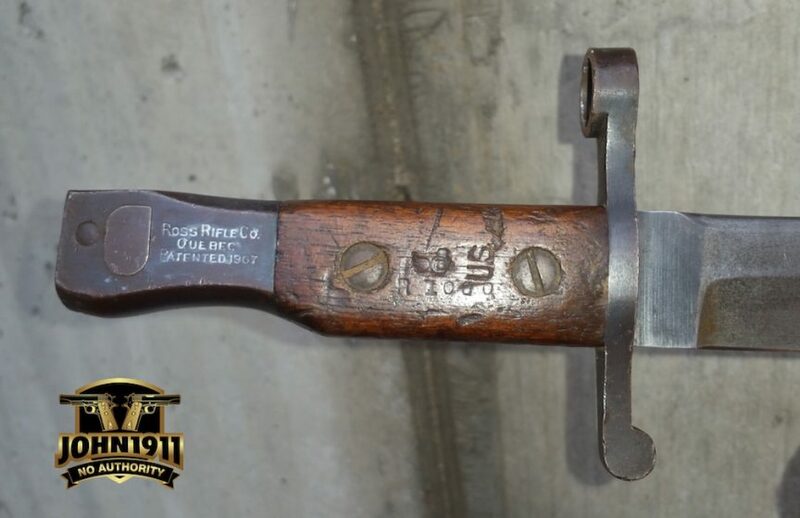 First, I will say that it’s a Model 1905/1910 Mark I bayonet. 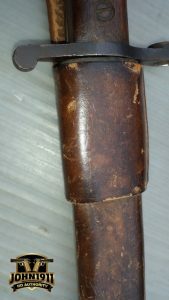 This particular one was made in February 1910 as shown by the markings on the left-hand side of the pommel. 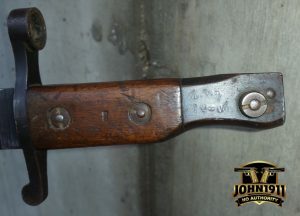 It has the added bonus of being marked US and has the “Flaming Bomb” ordnance mark on the right side grip panel. This happens to be a great thing because our Ross Rifle happens to be US marked as well. The scabbard is a standard leather Mk. I and it happens to be in great shape, it’s dated 1911 and also sports the US with the “Flaming Bomb” Mark. 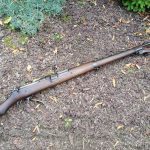 Although the US never adopted the Ross Rifle, they did buy approximately 20,000 of them. Many have been sporterized over the years. 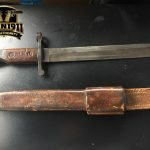 We are lucky to have acquired a matching (US marked) bayonet. Value wise, that is a big plus. 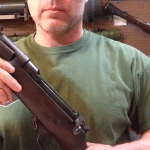 The negative was, once we received the and tried to put it on the rifle; it would not fit (ARMORY CHAT LINK) as can be seen in Marky’s Armory Chat video. The muzzle ring was out of round. Maybe someone dropped it or used it for a hammer? Who really knows ? But it was an issue for us. We are not primarily collectors. We tend to be shooters first and having a bayonet that won’t fit on the rifle would bother us and frankly; wouldn’t be acceptable. 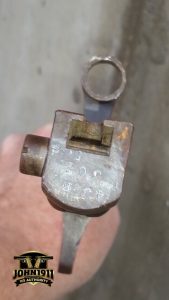 So, I took a tapered steel rod and placed the bayonet muzzle ring on it and using a deep well socket hammered the ring down and did the same with the reverse side. Basically, I did the same thing a jeweler would do to size a ring using a mandrel. 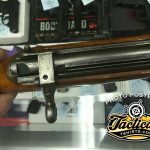 Regardless of it’s reputation in Canada, a military issue Ross Rifle with bayonet is very cool. It worked like a charm and now we have a properly marked bayonet to adorn our US marked Ross Rifle.